In today’s world with its rapid development of all spheres of human activity including tourism people have become more demanding to everything. Speaking about tourism it can be noted that nowadays every touristic object should not only be an excellent example of architecture, art or culture, but also it should have a unique story or a mysterious legend to tell the tourists and attract them. There are a lot of impressive sights all over the world – in megalopolises and the remotest corners of our planet. But one of them is situated in a country with a long history and rich culture – in India. Every year up to 3 million tourists visit Taj Mahal – the most marvelous pearl in the necklace of Indian pieces de resistance. But what’s the key of its great popularity among tourists? Every inch of shimmering white marble of Taj Mahal is saturated with romanticism of the story which was the reason for its creation. The harmony of majestic and dainty architecture combined with unbelievably beautiful legend is the main factor that makes Taj Mahal attractive for tourists all over the world. This monument of heavenly beauty was built in XVII century by 20 000 best architects and workers from different countries. 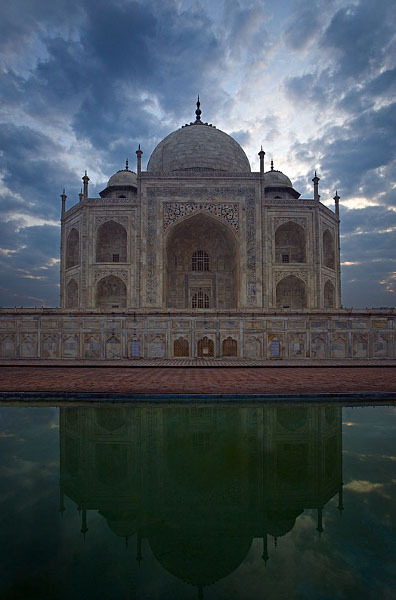 It took them 22 years to build the mausoleum which became the real masterpiece of architecture. 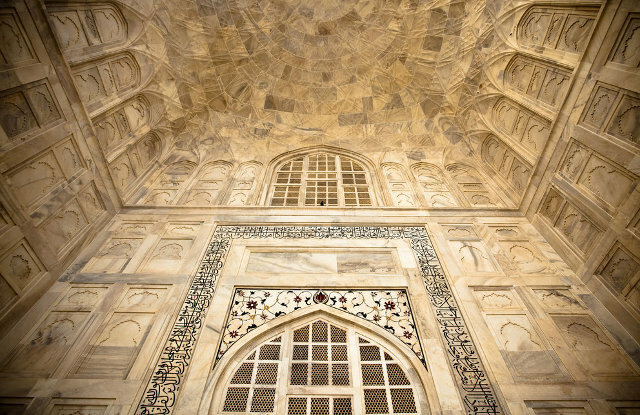 Its walls were decorated with mosaic of precious stones, the walls of sepulchral halls with openwork marble fence were inlaid with stone flowers. The interior of Mausoleum bewitches with its tastiness, wealth and luxury. The splendor of Taj Mahal is highlighted by the play of light during the sunrise and nightfall when white marble turns into light green, purple, pink or golden. The whole complex of Taj Mahal apart from marble mausoleum includes 2 mosques, a reminding arabesque garden with marble paths and imposing gates which represent a magnificent example of architecture. Taking into account the perfection of the architecture of Taj Mahal and its romantic background it’s no surprise that among thousands of tours offered to tourists the tour to Taj Mahal is chosen most often. 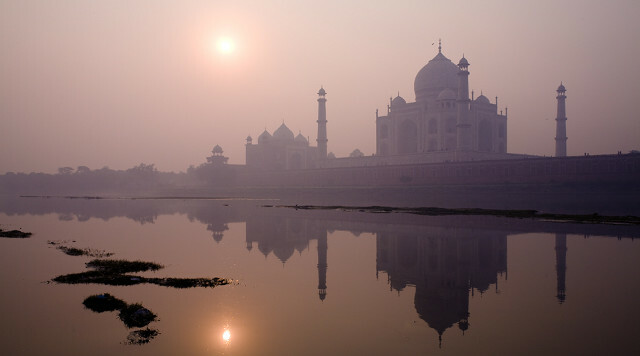 The idea of seeing a wonder sounds very tempting and every tour to Taj Mahal offers to see a real wonder.